Open letter to 2018, you seem to be clinging on to Winter a little too long. I can't recall so many weeks so full of rain, cold winds and snow and its taking its toll. My body seems to be crying out for warmth and protection from the elements, elements that seem to have no regard for my skin, it was time for action. As is the way come January, we all seem to make new starts in one way or another, taking part in dry January, hitting the gym, new job etc. It is just as important to look after the outside of our bodies as much as it is the inside. Unlike snakes & spiders, we don't shed our skin exposing a nice new shiny outer layer, we need help to get rid of that layer, then giving it lots of hydration and protection against the weather, I hasten to add, this is also a routine that you would be well served using ahead of the summer months, in order to ensure you get the skin prepped for sun exposure, whilst always been mindful of the damage the sun can do, you can at least take the right steps to limit the damage while prolonging the length of your tan. So this month I have put together a group of products, that contain a combination of ingredients that strip back & nourish the skin and hair. 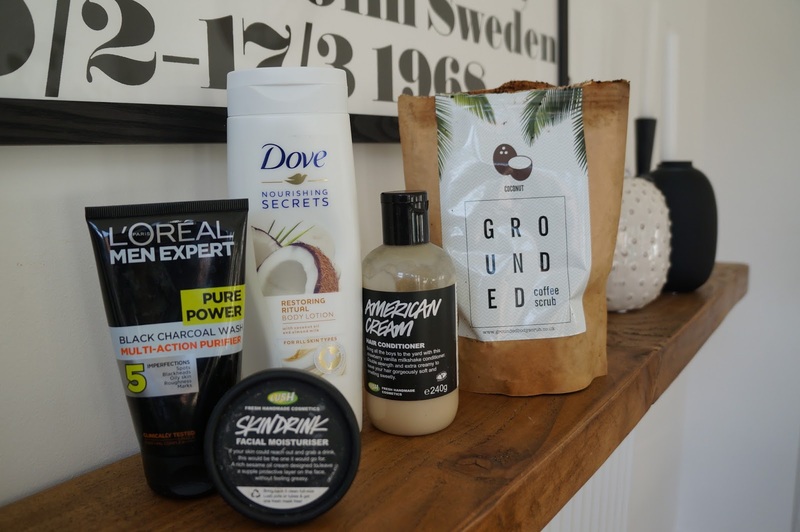 You will see here some very reasonably priced products all of which that can be found within your high street retailers. My self imposed role as a style blogger will of course expose me to a wide variety of products and brands, however I am not someone with an excessive budget and I seek out products that do exactly what I need them to do, from this starting point it will be easy to compare to more premium products to see whether you can really tell the difference in what they offer. 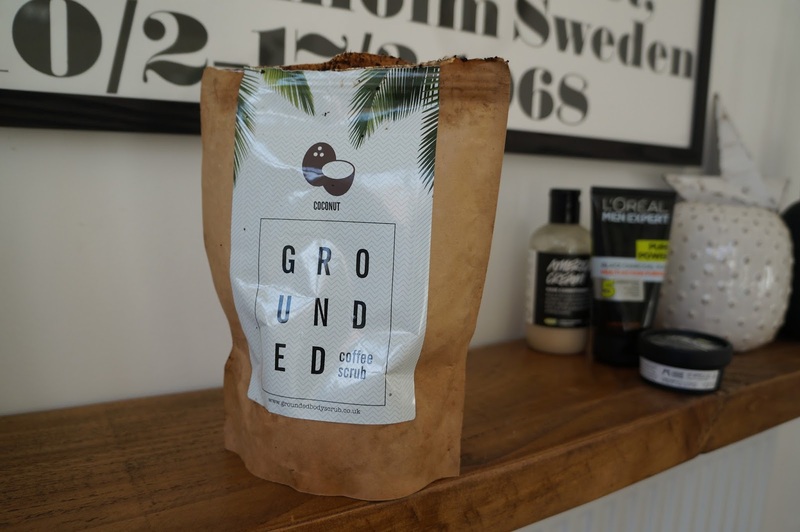 Not only does my first highlighted product have the perfect sounding combination of coffee & coconut, its packaged in a brown paper bag with a simple font and imagery of whats contained inside. Applying the the Grounded product to the wet skin, you can gently move the grains over your skin with your hands, you feel a light scratching but isn't something I would describe as being too uncomfortable, and in all honesty the amazing coffee fragrance will divert your senses to take in the wonderful smell, letting it do its work for around 10 minutes will be enough to reinvigorate the skin, and once you wash it off, you will immediately feel the benefits and wonder how you were living without this product. I have found in the last couple of years it is brilliant to use this in the lead up to a holiday, to prep for the sun rays to get a longer lasting tan. 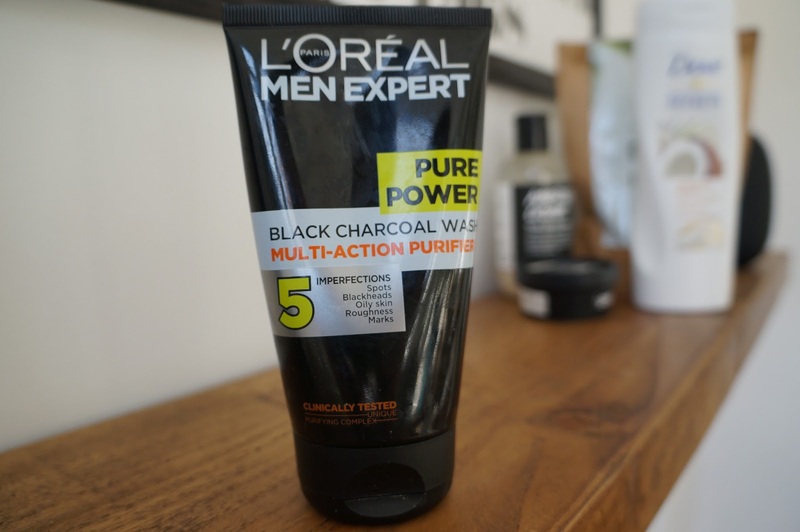 Although you can use the Grounded scrub on the face as well as the body, I wanted to experiment with the benefits of charcoal, L'oreal for Men have provided a fantastic product made up of black charcoal & menthol, and wow can you feel that menthol. The product draws out the impurities and is a great protector against black heads, spots and oily skin. 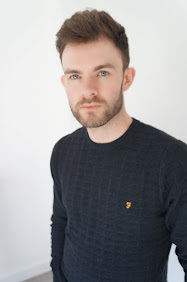 I have to admit my method of putting it on does begin with making two lines of the black product under my eyes, making me look like an American Footballer. 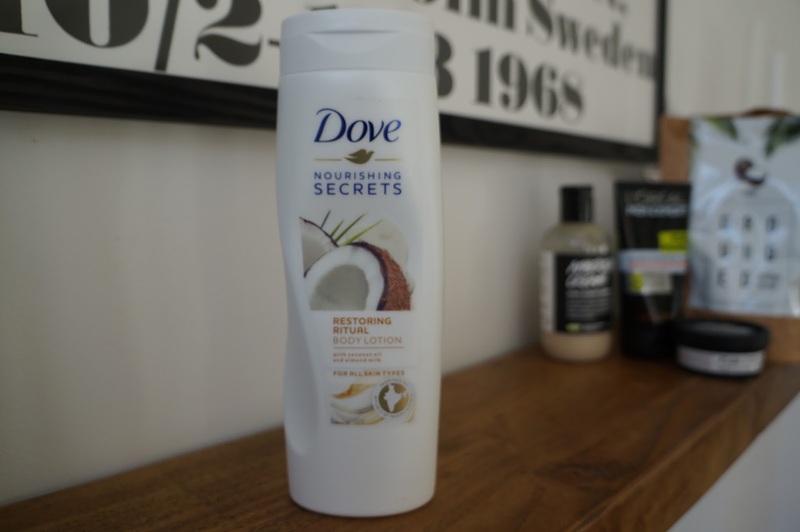 Once phase one of the regime is complete, to the hydration - for the body I have genuinely found that Dove offer everything in this bottle that one could need, it smells great with the coconut scent, and offers instant repair to damaged and dry skin. It doesn't require over liberal application and is quick and easily absorbed in to the skin. 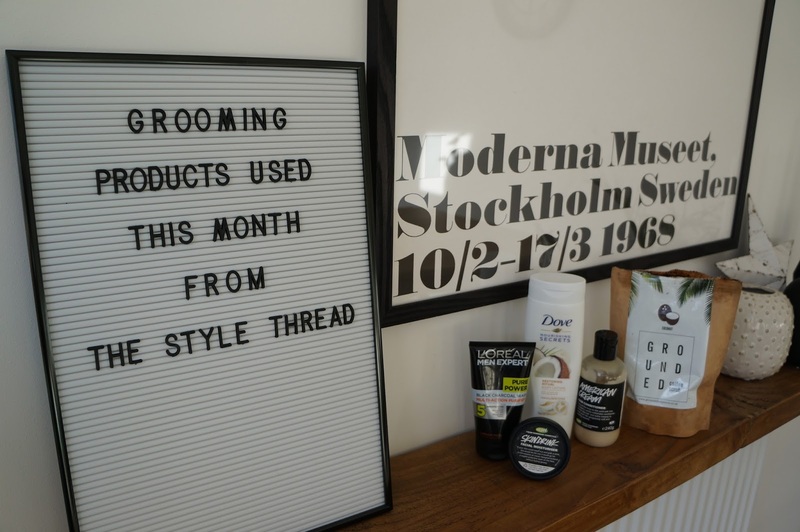 It is important to remember that most body moisturisers aren't really suited to the demand of a mens face, of course each person is different, the rigours of wet shaving every other day while maintaining a level of stubble mean the face has a lot to cope with. 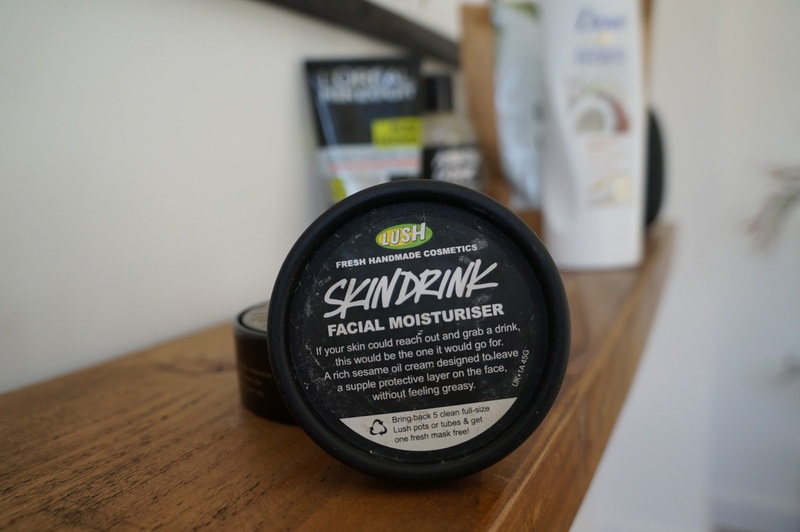 Skin drink from Lush offers the perfect antidote, well fragranced with orange & rose, the nourishing ingredients of oils, butters, aloe vera & avocado make up a great smelling and effective facial moisturising cream. 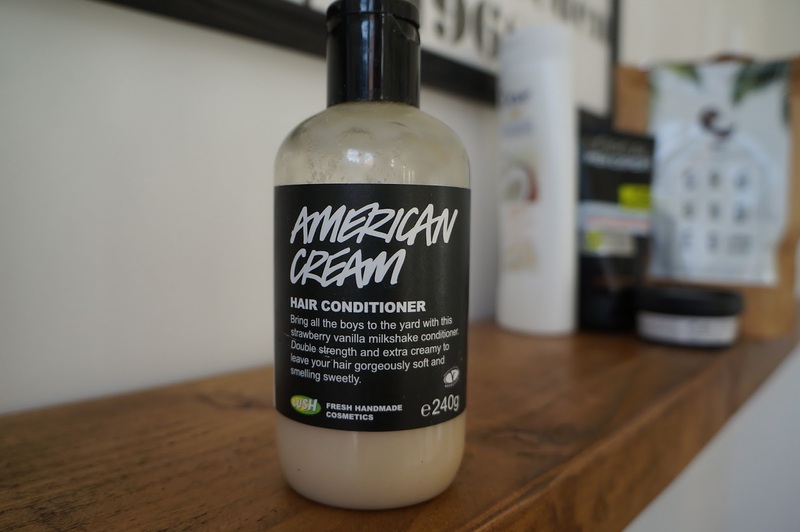 No matter your hair cleansing routine, I highly recommend American Cream once again from Lush, I have to confess that my introduction to this came from my partner, she came and sat next to me after using it and I could not stop myself from smelling her hair!!!! This literally is like drenching your hair in thick strawberry milkshake, crammed full of strawberries, honey vanilla & oils, ensure you grab a big dollop and smother every strand in this absolute beauty of a product and you'll be smelling it all day. Hope you've enjoyed some of these for yourself & see you soon for next months product choices, lets hope the weather has improved by then.